One of the remaining cars to be unveiled by BMW this year won’t be a huge volume seller, but it will be a crowd favorite. The new BMW Z4 is highly anticipated not only by BMW fans but also by Toyota customers who have been waiting for the revival of the Supra for quite some time now. Since the two will be sharing a lot of their underpinnings, these two are bound to cause a stir when they are finally unveiled. Until then we can take another close look at the Z4 Concept, courtesy of BMW and the Goodwood Festival of Speed. BMW was part of the event yet once again this year and brought forward quite an impressive contingent. From the recently unveiled 8 Series to the Z4 Concept, plenty of BMW goodness was on display for fans of the brand to revel in. The Z4 was there only in concept guise but that’s OK with us since it does look absolutely brilliant, as the Brits would put it. This was actually a UK debut as a matter of fact, as the Z4 Concept showed its pretty face on British land for the first time this past weekend. As for the production car, it will most likely lose some of the wow effect the concept has but, according to our sources, less than you’d expect. We’ll have to wait for the final product to see what that means exactly but the signs are encouraging. If you could order the interior in two different colors as is the case on the concept that would be a huge plus in our book. The most powerful and the most desirable model will be the M40i version which is slated to arrive with an upgraded version of the already popular B58 3-liter straight six engine. 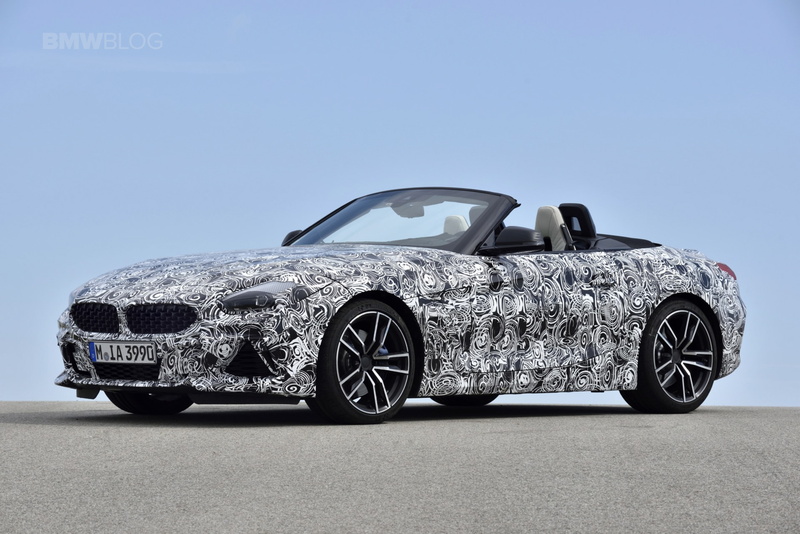 According to our sources, chances are we’ll see the Z4 M40i with different power outputs depending on the market. The US models will have over 380 HP so you can rest assured, you won’t be missing out on anything. There will also be lower-end models on sale as well with 2-liter 4-cylinder engines under the hood.